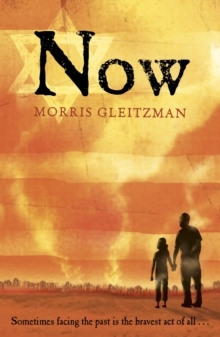 Now is the third shocking, funny and heartbreaking book in Morris Gleitzman's Second World War series. Sometimes facing the past is the bravest act of all... ONCE I didn't know about my grandfather Felix's scary childhood. THENI found out what the Nazis did to his best friend Zelda. NOWI understand why Felix does the things he does. At least he's got me. My name is Zelda too. This is our story. Now is the third in a series of children's novels about Felix, a Jewish orphan caught in the middle of the Holocaust, from Australian author Morris Gleitzman - author of Bumface and Two Weeks with the Queen. The other books in the series, Once, Then and After are also available from Puffin.